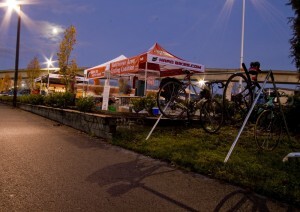 Here in Vancouver it’s bike to work week. Time to leave the car at home, pull out your trusty bicycle and pedal your way to work, school or wherever you may roam. Sorry, I am listening to Metallica’s Black Album right now which has nothing to do with this post other than the song « Wherever I May Roam Just Came on. I digress though. In the Pacific Northwest we’re pretty lucky because there are really only a few days a year we can’t use our bikes to get around. 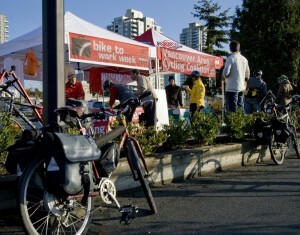 The Vancouver Area Cycling Coalition (VACC) made the decision to hold Bike to Work Week in November, a time when most people wouldn’t imagine riding, to show people that it’s possible to ride in almost any weather, so long as you are prepared. 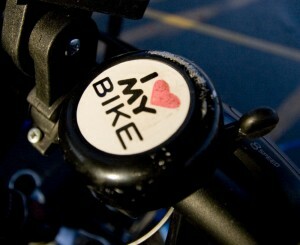 Two days in and the weather has been great, making it easy for people to get on their bikes. 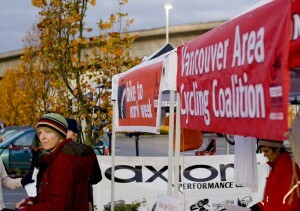 All this week you’ll find the Axiom and Norco crews out and about around the Vancouver area providing tech support and warm coffee for passing riders. 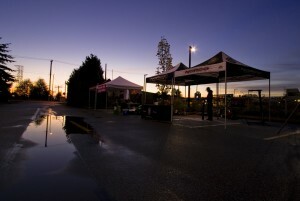 Check out some of the pictures from this morning below and if you live in the Vancouver area we’ll see you out there this week.